Top Rated Cell Phone Warranty Coverage! We all know how expensive cell phones can be these days. Chances are you paid a good amount for your phone, especially if it’s a smartphone. If you’re like most people on the go, then you may have the occasional bump, drop or spill. This can be a problem if you don’t have accidental warranty protection on your phone. Having a cell phone warranty with accidental protection, means that when you have those unexpected moments, your phone is protected. 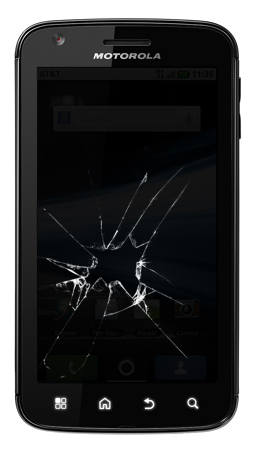 Consumer Priority Service offers top notch cell phone warranty protection for all cell phone makes and models. This warranty covers your cell phone in the event of an accident, such as a drop, break, crack or liquid spill. This small investment is worth the cost, considering how expensive smartphones are nowadays. Most smartphone models reach into the $200-$300 range. Having to replace one of these because you had an accident would surely be expensive and quite a hassle. Choose Consumer Priority Service with your new cell phone warranty and get the best warranty coverage available. For even more protection we recommend a cell phone case in combination with our warranty when shopping for cell phone accessories. This will definitely give you a higher level of protection from accidental damage.